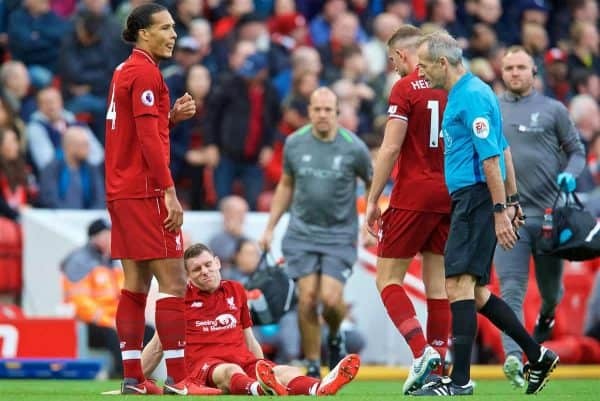 Liverpool expect to be without James Milner for a month due to a hamstring injury, according to reports on Monday night. The vice-captain has been an integral part of the team in the opening months of the season, largely being a key starter in the centre of the park. While Jordan Henderson and Naby Keita have rotated, Milner—along with Gini Wijnaldum—has been pretty much a staple in the Reds’ starting lineup. Against Man City at the weekend, however, Milner’s time on the pitch was cut short, with a hamstring injury forcing him off well before half time, to be replaced by Keita. Although the initial assessment from the player himself was hopeful, according to manager Jurgen Klopp, there were fears he could be sidelined for a significant length of time. 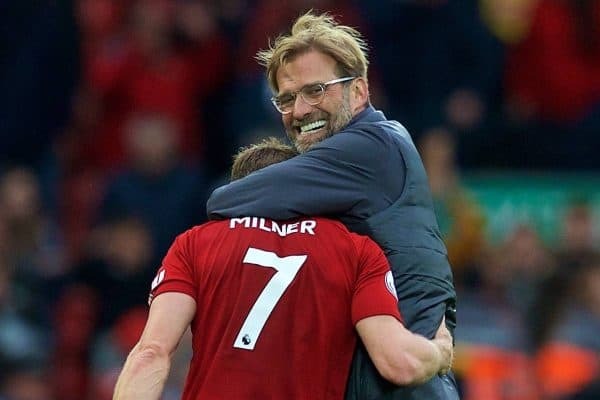 With Alex Oxlade-Chamberlain a long-term absentee and neither Keita nor Fabinho yet completely up to speed in their new surroundings, a lengthy spell out for Milner could prove difficult for Klopp to manage. But with the international break now meaning it’s two weeks before Liverpool play again, Milner could only miss as few as four matches. The Telegraph‘s Chris Bascombe reports that the No. 7 could return “within a month,” in fact. That means he could return in time for the Reds’ Champions League fixture in Serbia, though he’ll be hard-pushed to make it back for a big Premier League game at Arsenal. Thankfully for the Reds and for Klopp, the upcoming run of games between now and mid-November should be somewhat more forgiving than the recent gruelling run. 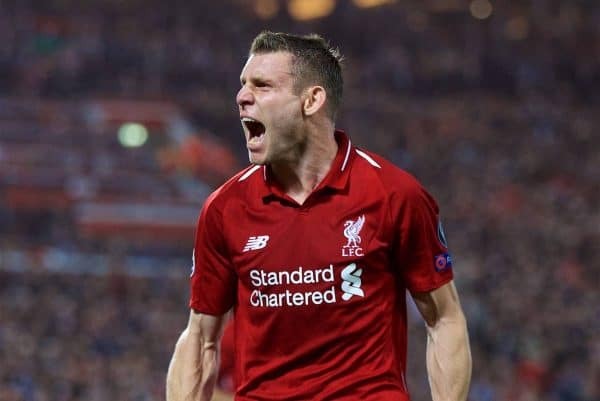 Tottenham, PSG, Southampton, Chelsea (twice), Napoli and Man City was something of a nightmare run in terms of importance, quality faced and thus the physical and mental toll on players, and Milner had played more than most this season before his injury. Even so, his enforced absence should mean more chances in the coming weeks for Fabinho, Keita or Xherdan Shaqiri to carve a spot for themselves in the team, as the Reds look to build on their excellent overall start to the season.